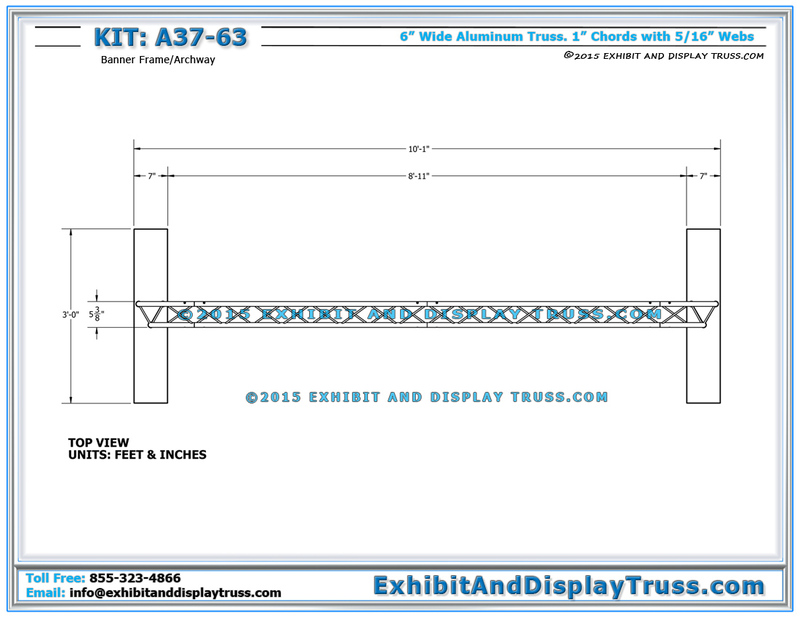 Portable Aluminum Truss Arch A37-63. 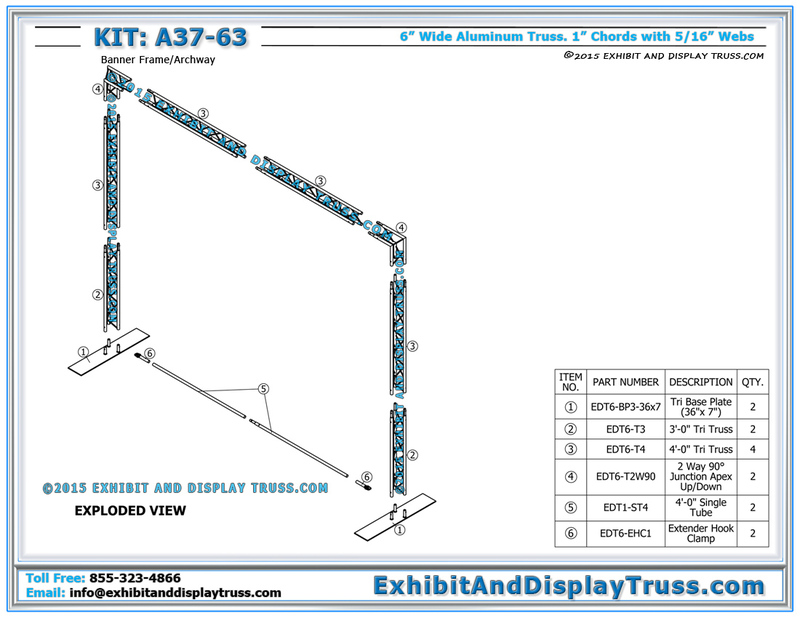 This aluminum truss kit fits in a 10′ x 10′ booth area (a trade show standard). This truss display system is made from triangle truss which nests together when packing, making it very cost effective when shipping. This truss system also contains no parts longer than 4′, making it break down into a small pile that is easy to transport to convention center exhibitions or other events. This portable archway can be used independently, or in conjunction with other trade show display booths. Portable Truss Arches can be used to hang display accessories, used as a lighting truss system, and used as a conference wall or conference banner stands. 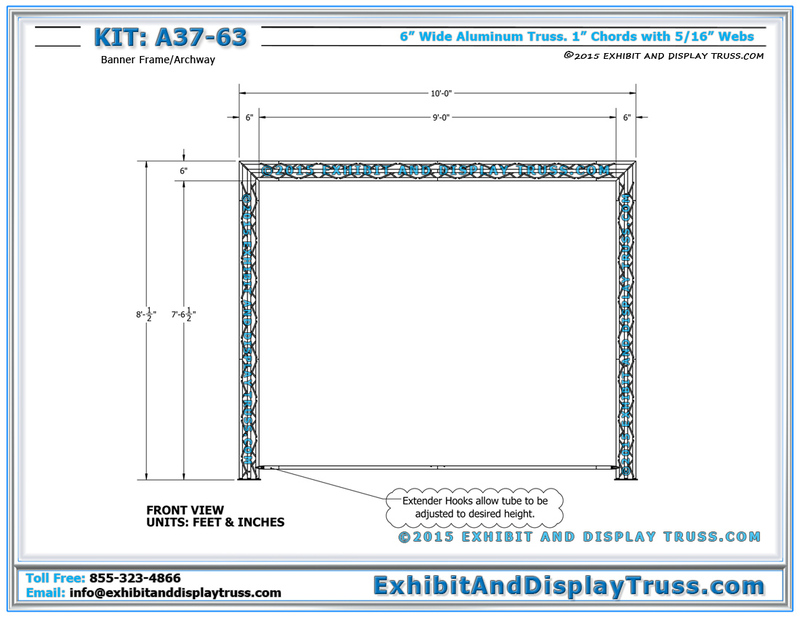 The A37-63 is the perfect addition to any exhibitor displays and exhibit systems. The A37-63 Convention display stand is very portable, lightweight, and easy to transport to any trade exhibition venue. Mini truss is also perfect for kiosk design and retail environments. Our 6″ Wide Aluminum Mini Truss is our smallest profile size with high durability. Installation leaves no protruding screws or bolts, leaving a clean look for a retail display. 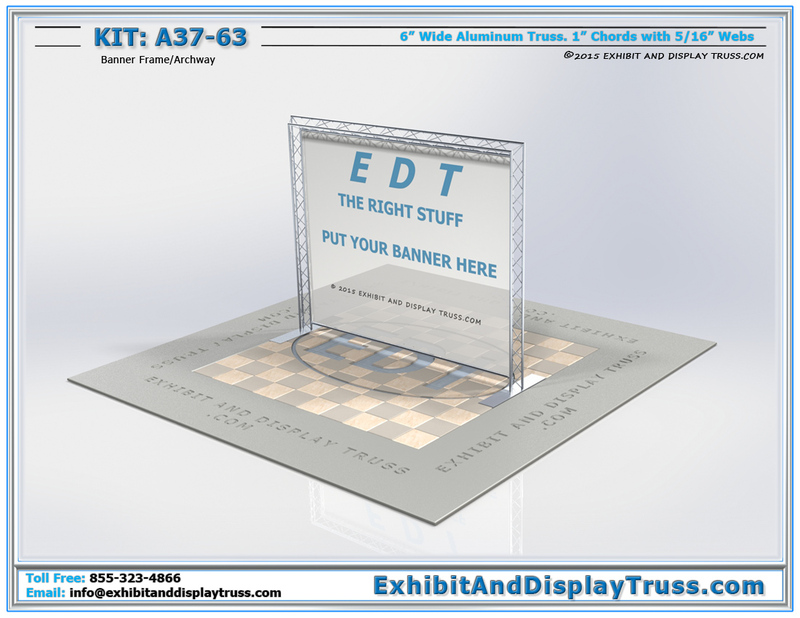 6″ wide aluminum mini truss is the best truss for smaller exhibit booths and retail displays. The lack of protruding bolts in larger profile sizes make 6″ wide mini truss a more attractive line of truss for retail and and trade show booths 10×10. Make your booth stand out at any trade show or conferences. The attractive look lends it self to creating product displays. Check out laptop and ipad stations and ipad enclosure platforms and information kiosks that can be added to your display booth! EDT Exhibit and Display Truss is the best source for trade show displays ideas. Truss components are constructed of square, triangular or flat pieces. All of our truss structures are designed for ease of assembly and available in a number of designs and sizes. Our truss systems are constructed of durable, high-strength aluminum and steel for supporting LCD or plasma mounts, company graphics, lighting stands and lighting truss system and other accessories. Fast and Easy Installation. Kit A21-64 uses 6″ wide aluminum truss. All 6″ Wide (1″ Chord/Tube Diameter) aluminum truss parts use the 1″ tube connection insert, which is an expansion style insert. This type of connection system eliminates protruding bolts, adding to the clean look of aluminum truss display booths.